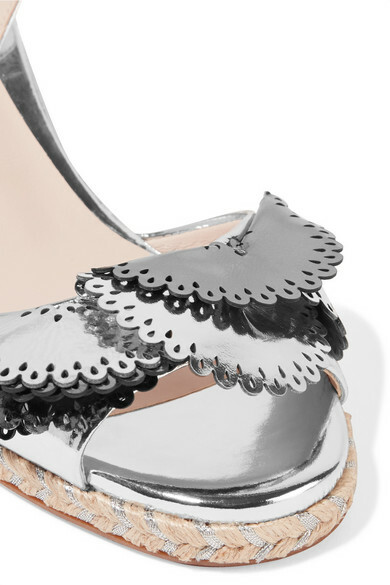 Sophia Webster's cool, maximalist designs have gained the brand an impressive one million followers on Instagram - these 'Soleil Lucita' espadrille sandals are sure to get you plenty of likes. 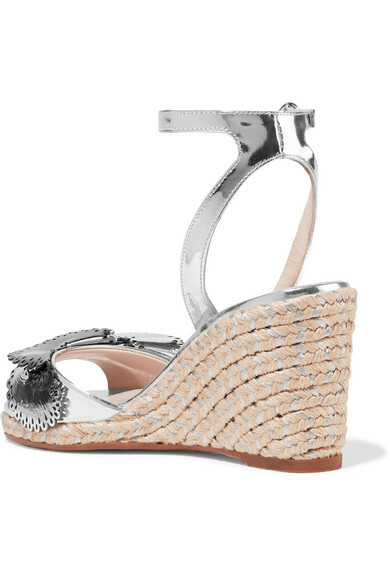 Made in Spain from silver mirrored-leather, they're set on a jute wedge heel and have perforated origami-style details at the toe. Wear them on vacation with flowy skirts and dresses. Shown here with: Ulla Johnson Dress, Nannacay Tote, Ariana Boussard-Reifel Earrings.